Linotte is a rounded sans family with good vibes, designed by Joël Carrouché. Slight irregularities give the typeface a warm and naive look, while the solid geometric construction allows good legibility in long texts and small sizes. Linotte is ideal to set texts for food or children related products, and anything that needs to convey a friendly feeling. 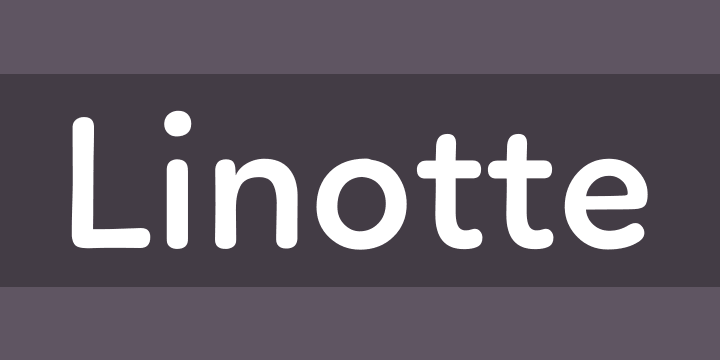 Linotte Semibold is free for personal & commercial use. The fonts, provided in OpenType format, include diacritics for most European languages, a set of arrows & icons, and a variety of advanced features like stylistic alternates, case-sensitive forms, superscript, etc.